Munjal Shah has been playing in Tennis Portland program for a year now. He's a solid player and likes to play at least four times a week and is rated at 4.0. For Munjal the league offers him much more than just other tennis players, it offers a great opportunity to meet like-mined people and socialise outside of the game, however, the conversation invariably turns to a great competitive game. The Portland tennis league offers active tennis players and Munjal is never short of a challenge or two. Any player will tell you about their great comebacks or near misses. Munjal is no different and remembers his first playoff matches fondly. It was the spring of 2013 and both matches were very tight. Despite the high competitiveness of the games he enjoyed them enormously and it gave him so much confidence going into the summer season. responsive. As such, he finds playing in the league very easy which allows for easy scheduling and regular games. Munjal has a number of league rivalries (who doesn’t) but with James Brown in particular, check out his profile page for details. Munjal is a Software Engineer by trade and was born and brought up in India. He moved to Los Angeles in 2008. He studied at UCLA and earned a Master of Science degree in Computer Science. Tennis has been his passion and a game he has followed since he was 16 years old. However, it was not until January 2013 that he actually picked up a racket and started to pay the game rather than be an arm chair critic. 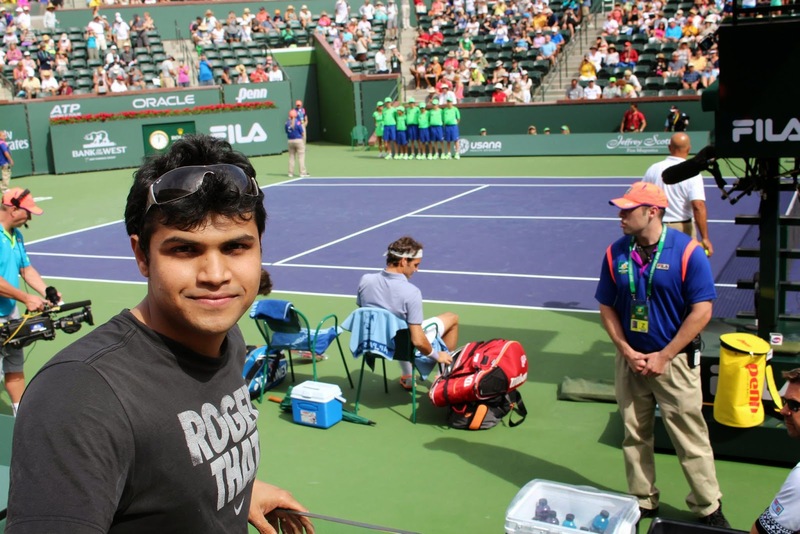 Recently married in November 2013, Munjal is now getting his wife into tennis. Munjal is big fan of Roger Federer, in fact, he has learnt a lot from Federer’s game by watching slow motion videos of the man in action. 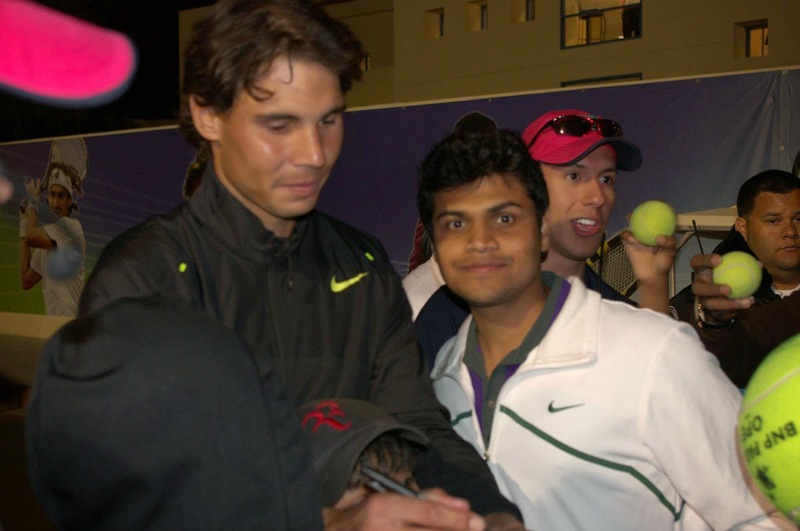 Subsequently, Munjal has been fortunate enough to meet Roger Federer and other players at Indian Wells.